We’d love your help. Let us know what’s wrong with this preview of She's Back by Lisa Unwin. Women's careers twist and turn. Women step back or step away for so many reasons. Then, let's face it, returning is tough. Whether you are coming back after a break, or looking to ramp up a level, this book is an essential guide and helps you succeed. You'll learn the truth about how the recruitment market really works; how to craft a narrative that explains your value; mobilise a network to support your ambitions and find work that will work for you. Examples of real women's struggles and winning strategies provide inspiration and will enthuse you about how to make your own comeback. Lisa and Deb draw on years of research across several different sectors and their experience of working with and listening to the stories of thousands of women to provide a fresh, pragmatic and above all useful handbook for today's fast evolving job market. 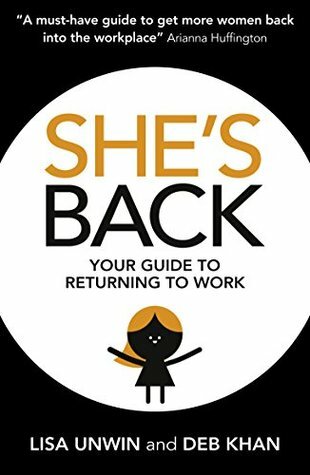 To ask other readers questions about She's Back, please sign up.